Learn more about the awards that Buckeye Honda and our fantastic team members have earned. 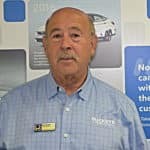 You can read our customer reviews to see first hand why Buckeye Honda has more awards than any Central Ohio Honda dealer. Visit us today to meet our award-earning sales and service staff today! Buckeye Honda has earned the prestigious President’s Award by American Honda Motor Co., Inc for the fifteenth time for 2017. The award recognizes dealerships for excellence in sales performance, sales experience, service performance and business operations. Each year, Honda Motor Company grants no more than their top 15 percent of dealerships with this high honor. 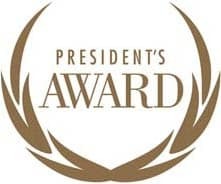 The Honda President’s Award recognizes dealers who honor their relationship with their clients by achieving excellence throughout their sales and service operations. Buckeye Honda has earned the Honda President’s Award for 7 straight years for a total of 15 President’s Awards. Buckeye Honda is in a very exclusive club as only 10 other Honda dealers have earned the award 15 times or more. 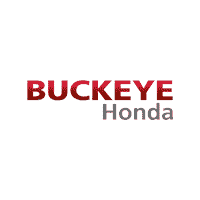 Buckeye Honda has earned the award more times than any other Honda dealership in Central Ohio. Buckeye Honda would like to congratulate and acknowledge Chad Balser, Bob Siegel, and Chris Barlow for being a part of the Honda Council of Sales Leadership for 2017. The Honda Council of Sales Leadership is an annual recognition program to encourage professional development and sales excellence throughout Honda dealerships nationwide. By measuring sales volume, customer satisfaction, and professional knowledge, the program identifies consultants who excel at enhancing the customer buying experience. Chad Balser was awarded the Gold Membership Level for the 2017 Council of Sales Leadership recognition program. Gold level membership is reserved for only world class Sales Consultants displaying excellent customer satisfaction, sales volume and professional knowledge. These esteemed Sales Consultants played a significant role in maintaining Honda’s industry-leading owner loyalty. Chad previously achieved Silver Level in 2016. Bob Siegel was awarded the Silver Membership Level for the 2017 Council of Sales Leadership recognition program. The Silver level is reserved for Sales Consultants who demonstrate excellent customer satisfaction and product knowledge. These esteemed Sales Consultants played a significant role in maintaining Honda’s industry-leading owner loyalty. She previously achieved Silver Level in 2016. Chris Barlow was awarded the Silver Membership Level for the 2017 Council of Sales Leadership recognition program. The Silver level is reserved for Sales Consultants who demonstrate excellent customer satisfaction and product knowledge. These esteemed Sales Consultants played a significant role in maintaining Honda’s industry-leading owner loyalty. She previously achieved Silver Level in 2016. 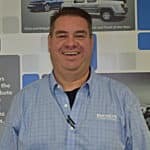 Buckeye Honda is pleased to announce Kevin Yarger has reached the level of Master Technician with Honda. Kevin went through an extensive training program, which is a significant achievement. This certification not only validates his training and professionalism but also demonstrates to the public his commitment to excellence. As a Master Technician, he can handle the most challenging diagnostics and repairs in the service department. 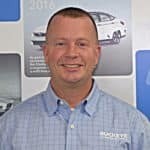 Along with increased technical knowledge, Master Technicians are required to have strong communication skills in order to work in a team environment with service advisors, fellow technicians, and customers. 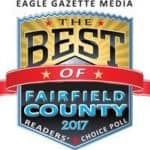 Buckeye Honda was named Best of Fairfield County 2017 in the Lancaster Eagle Gazette Readers Poll. Buckeye Was named Best New Car Dealer and Best Pre-Owned Car Dealer. We are very proud of this achievement because it comes from the public, the people we serve everyday. We look forward to working everyday to maintain the trust that everyone that voted for us has.